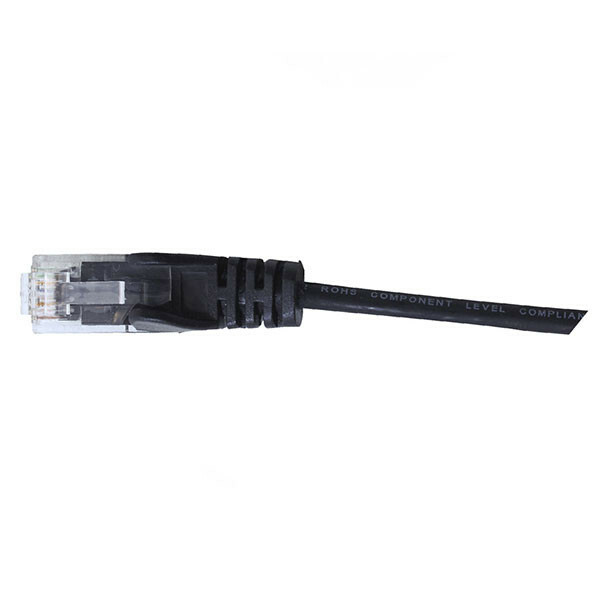 Hypertec Category 6 / Class E reduced diameter patch leads are ideal for high density patching as their small 3.7mm diameter jacket requires less space in a rack than standard Category 6 patch leads. As racks become more heavily populated with equipment, cables and patch cords and as space inside a racks fills, cable management becomes more and more of a challenge with large bundles of cable that reduce air flow and are difficult to neatly route between switches and patch panels. Hypertec reduced diameter patch leads take up less room and are more flexible than standard patch leads, making cable management in high density racks quick and easy, The smaller bundles help to improve air flow with the rack resulting in lower cooling costs. 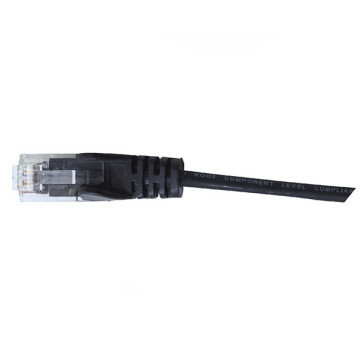 Compared to standard CAT6 patch leads with a typical diameter of 6mm, these reduced diameter leads are 40% smaller, allowing almost twice as many leads to be routed through cable manager and pathways with the rack. Made from 28AWG stranded bare copper conductors, they have been tested and ETL verified to meet all the electrical performance requirements of ANSI/TIA 568-C.2 Category 6.